I don't believe that I have mentioned the IRS has finally come through and our check for $8,000 is on its way! We're so excited! Now the appliance shopping can begin! Once our appliances are replaced and our air conditioning is squared away we will finally be making the big move from my parents house to our townhouse! I have just been so grateful to my parents for all their kindness and generosity. Being able to renovate a house and not live in it is a great blessing - I can leave my messes behind! 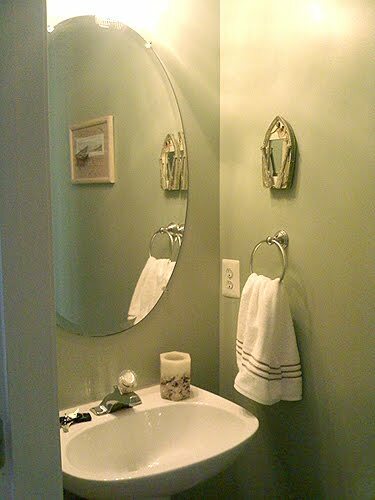 Autumns Bathroom: This was one of the rooms where I didn't hate the paint color and it was in okay condition so I left it (for now - see complex). However, I am not exactly sure where the previous owners hung anything. There are zero towel racks in either of the bathrooms upstairs. Knowing that this needed to be remedied before we moved in I decided to get this project out of the way instead of investing money in a temporary (and tacky) solution. In comes beadboard wallpaper! Remember how I covered my island in it? I threw it up in the bathroom running the wall opposite the toilet and sink. I'll finish it off with a 1" x 6" piece of wood and a small ledge.How long did this project take me? 10 to 15 minutes - and that was because you have to let the paste on the wallpaper set up for 5 minutes. Super easy! 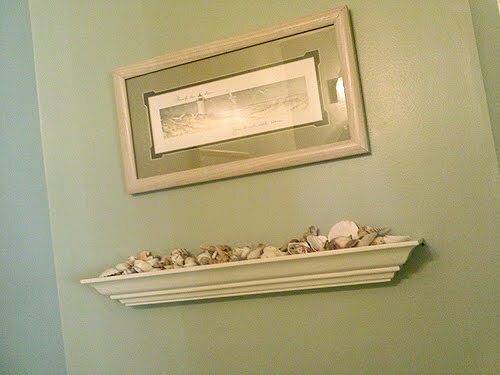 I'll paint it white and have my "beachy" bathroom! Autumns Changing Table: My sister in law Karen passed onto me her changing table from her babies. The wood was a warmer, darker brown. Essentially it was fine, but Autumns crib (Thanks Jodi!) is a lighter natural wood. For fear of the "Clash Police", I decided to paint it white. Easier said than done. I don't know how much easier it would have been really to paint it before putting it together, but it has been tough. I have found that sponge rollers actually paint the dowels more easy than a brush. 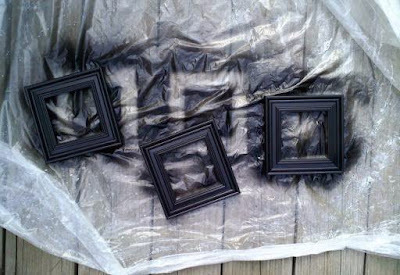 Below is an image of it in progress, splitting coats between paint and spray paint. I don't think I will ever get in every nook and cranny with the dowels without doing a gazillion coats, so don't judge it (or get down on the ground and look up at it cause yeah it's not painted there) too harshly if you see it in person! The Powder Room: This was another room that wasn't totally awful so I left it as is. It was the only room not painted on the main floor. I did update the white trim, but I was so happy to not have to paint another room for now! It also serves as a beachy bathroom. I'm on the hunt for a large starfish to put on the back of my toilet bowl to occupy a large empty space below the ledge and picture. Quote Frames: I have a plan for these. I found them at the dollar store, but they are that cheap plastic. Even though they are already black, I sprayed them with the Rustoleum Black Textured Spray Paint to help beef them up a bit. 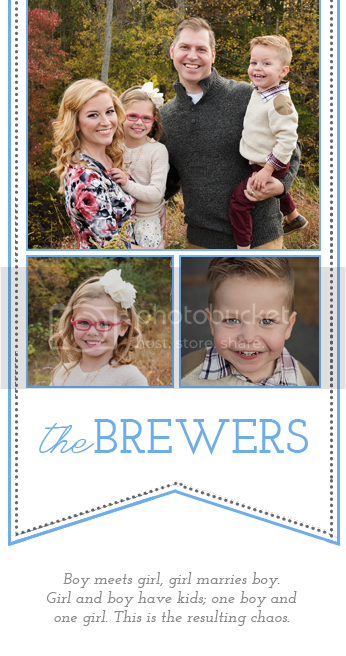 I'm excited about the idea behind these frames, which I'll get to in a future post. So yeah, that's what I'm working on right now. I spent much of this week getting other little projects done. I did a LOT of laundry - I just wasn't a fan of that "I've been in storage for over a year" smell. Yay! You're getting your clothes back! Your stuff looks great, and I'm so happy everything is coming together. We have that same changing table is the boys room painted blue. All your projects are looking good. Love the updates. How exciting to get to move into your first place! Everything looks great!